Ceremonial magic is generally defined as magic in which the practitioner uses specific rituals and invocations to call upon the spirit world. Also called high magic, ceremonial magic uses as its base a blend of older occult teachings–Thelema, Enochian magic, Kabbalah, and other various occult philosophies are typically incorporated. Ceremonial magic differs from natural magic, or low magic. Natural magic is the practice of magic in accordance with the natural world–herbalism, etc.–while ceremonial magic involves the invoking and control of spirits and other entities. Although there is much more to it than this–ceremonial magic in and of itself being fairly complex–these are the main surface differences. Ultimately, the main purpose of performing high magic is to bring the practitioner closer to the Divine itself, whether that is in the form of a deity or another spiritual being. In the late sixteenth century, a translation of Heinrich Cornelius Agrippa's De incertitudine et vanitate scientiarum described "ceremoniall magicke" as containing two parts, "Geocie and Theurgie," or goetia and theurgy. 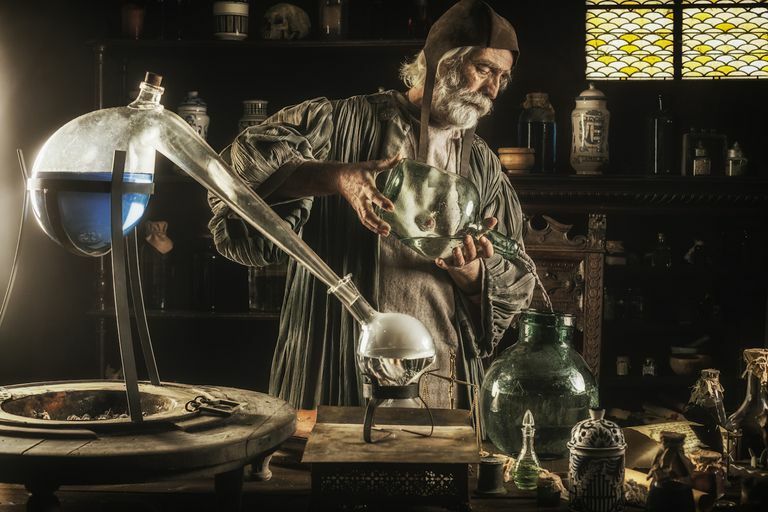 Although this was the first documented use of the term ceremonial magic, the practices involved had been around for at least a century or two, as the rituals have been noted in the grimoires of early Renaissance and medieval-era magical practitioners. Over the years, numerous European occultists studied and practiced many of the rituals and ceremonies still in use today. Francis Barrett was an Englishman, born in the late eighteenth century, who studied metaphysics, the Kabbalah, natural occult philosophy and alchemy. Long intrigued by the writings of Agrippa, and by other esoteric texts, Barrett wrote a work entitled The Magus, heavily influenced by Agrippa's works, and purporting to be a magical textbook focusing on herbalism, the use of numerology, the four classical elements and other correspondences. The French occultist Alphonse Louis Constant, better known by his pseudonym Éliphas Lévi, lived in the 1800s, and was part of a number of radical socialist groups. An avid Bonapartist, Lévi developed an interest in the Kabbalah, and subsequently magic, as part of a group of radicals who believed that magic and the occult were essentially a more advanced form of socialism. He was fairly prolific and wrote a number of works on what we today call ceremonial magic, as well as books on spiritualism (The Science of Spirits) and the secrets of the occult (The Great Secret, or Occultism Unveiled). Like Barrett and Agrippa, Lévi's flavor of ceremonial magic was heavily rooted in Judeo-Christian mysticism. During the Victorian era, spiritualist and occult groups flourished, and perhaps none is as well known as the Hermetic Order of the Golden Dawn. This secret society embraced ceremonial magical practices, although it eventually imploded when members couldn't seem to agree on the actual religious beliefs of the group. Like their predecessors, many Golden Dawn members were Christians, but there was an influx of Pagan beliefs brought in that eventually led to the fragmenting of the Order. Many of today's ceremonial magic practitioners trace their roots to the teachings of the Golden Dawn. Ordo Templi Orientis (O.T.O.) is an international organization which was originally modeled on Freemasonry. During the 1900s, under the leadership of occultist Aleister Crowley, O.T.O. began to include elements of Thelema as well. Following Crowley's death, the organization has seen a number of changes in leadership. Like many ceremonial magic groups, membership includes a series of initiations and rituals. Builders of the Adytum (B.O.T.A.) is a Los Angeles-based ceremonial magic tradition that carries influence from both the Golden Dawn and the Freemasons. In addition to group ritual work, B.O.T.A. offers correspondence classes on Kabbalah, astrology, divination, and many other aspects of occult studies. Today, there is a great deal of publicly available information on the practice and beliefs of high magic, or ceremonial magic. However, it is said that the information out there is incomplete and that it is only through training and work that a practitioner can unlock all of the secrets of ceremonial magic.